Good morning, this is your captain speaking. On behalf of my crew today, I’d like to welcome you aboard flight number L1P6L0551P1N6 from Heathrow to Antigua. We are currently flying at an altitude of 35,000 Boots points midway across the Atlantic. If you look out of the windows on the starboard side, you should get a great reflection for reapplying your lipsticks – alternatively, please await the cabin crew’s further instructions as we have a rather special purchase to show you today. 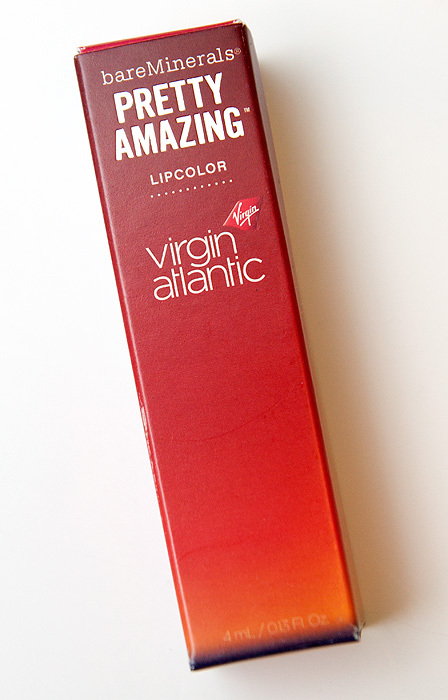 Virgin Atlantic have teamed up with bareMinerals to create a mile-high red lip that’s worth a swoon or two. Upper Class Red* is taking off in style with the signature Pretty Amazing Lipcolor formula combining the coverage you’d expect from a lipstick with the high-shine of a gloss. The scarlet shade is synonymous with the cabin crew’s glamourous image as seen in the airline’s latest advert. Having been adopted as an official piece of uniform for the Virgin Atlantic cabin crew, you can imagine that this formula really needs to live up to the demands that will be placed upon it in a working environment and none is more important 35,000 feet up than longevity. While not completely bullet-proof, the colour wears very evenly and transforms from an opaque, glossy covering to a pigmented stain after a couple of hours that lasts throughout the day. I actually prefer the slightly more subdued stain to the pow-pow in your face-ness of this particular red. 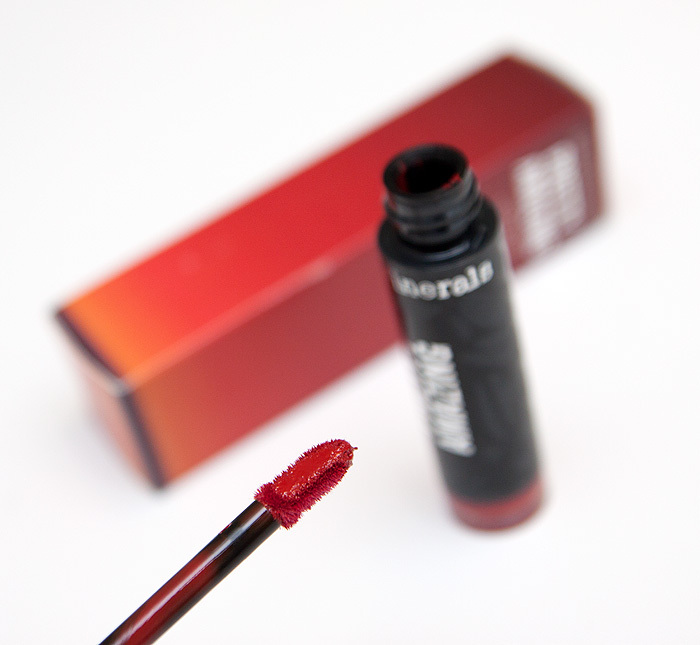 The applicator has a flexible, rounded tip that helps to apply such a strong colour with the kind of precision required for the task. The texture is thick and I’d suggest wiping any excess product back into the neck of the tube as a little will go a long way. 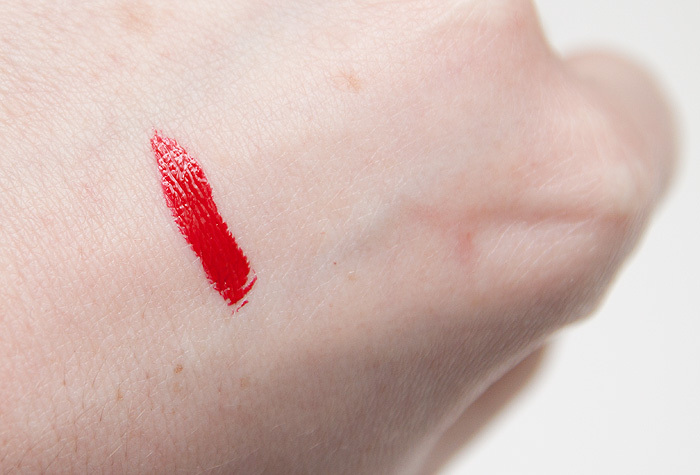 Once applied, the finish is super-shiny and I prefer to blot it once on a tissue to get rid of that sticky gloss feeling without losing any of the incredible pigmentation. To my eye it’s a warm-toned red… not enough to actually be classed as a “warm red”, but you should be able to see that it leans away from the cool end of the spectrum with my pinky colouring as a backdrop. 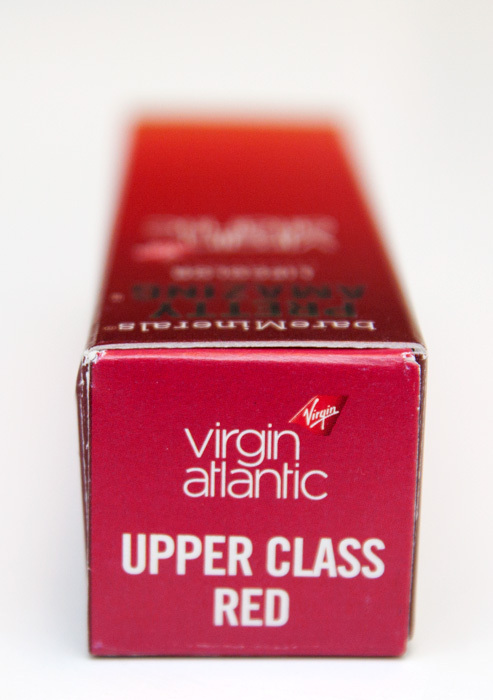 You can check-in (groan) with ‘Upper Class Red’ exclusively at Virgin Atlantic Clubhouse Spas before it’s made available for pre-order on board Virgin Atlantic flights. Later in the year, it will become available to purchase from selected bareMinerals stockists. Charlotte that is one of the best starts to a post I’ve read in ages. I even read it out to my OH :). Great post and I love the colour swatch. I don’t normally like reds, but it looks great. This post just made my day :p I love this type of high-shine red,is there anything like this, but without the exclusivity and possibly at a smaller price? Brilliant! I love your opener, the Boots points had me proper giggling! 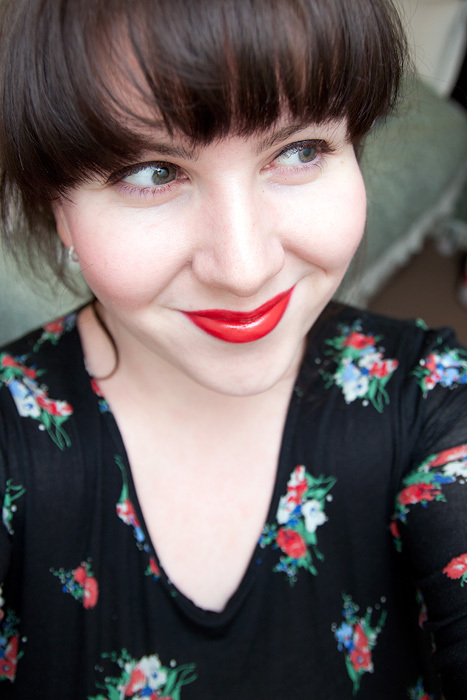 The lipstick looks lovely and I’m flying Virgin later in the year to Orlando, consider me sold! Oh boy. I would totally book that. Or something. Beautiful warm red! I won’t make a mile-high club joke about you in that lip colour as a faux-flight-attendent. I won’t. I won’t. I won’t, though. Because that would be a terrible misappropriation of the English language. Yes. Wait – it’s part of their uniform? It’s MANDATORY?!? I love this! Why doesn’t every company do this? Most airlines do actually have a select brand or number of brands that they require their (female) staff to wear in order for everyone to look – dare I say it – uniform. But then again I am not an air flight attendant who has to pay for high brand products and wear the same make up EVERY day. Haha! I feel that all of your posts should start this way – marvelous! And I love the idea of this.